We're giving away beautiful, baby-safe Ruby Olive necklaces, pendants and bangles! We’re giving away beautiful, baby-safe Ruby Olive necklaces, pendants and bangles! There’s no need to ditch your favourite accessories once you’ve had a baby. Yes, their little hands and mouths love to explore everything – including whatever mum is wearing, so simply swap out your usual delicate jewellery to the baby-safe Softies collection from Ruby Olive and you’re set! Mums are the masters of multi-tasking, so we’re particularly partial to anything that can do double duty – like Softies by Ruby Olive. 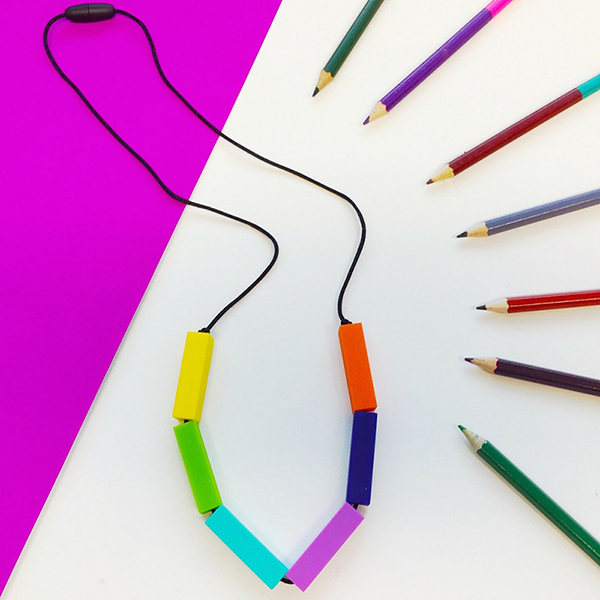 Not only do these pieces look the bomb, and add a splash of colour to any outfit, but they’re also great for babies who love to chew and play with anything and everything within their reach. 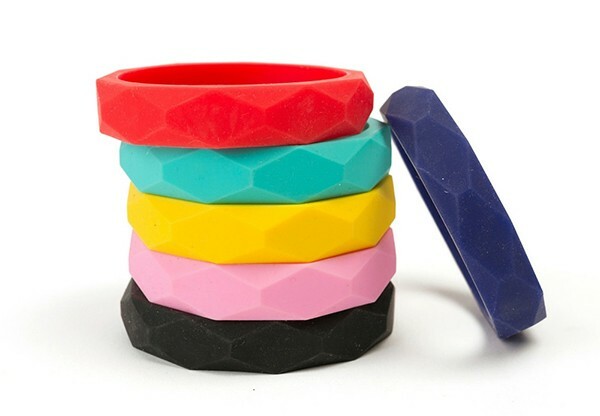 Softies by Ruby Olive is jewellery made from non-toxic, food grade silicone and all the pieces are free of BPA, with a quick release clasp for safety. So while you’ll look amazing wearing it, your baby will be perfectly safe as they chew on it, or play with it while you’re holding or feeding them. We’re keen for a bunch of Babyology mums and bubs to test out some key Softies pieces, so here’s your chance to get your hands on some freebies! We have 24 pieces of jewellery up for grabs – that’s eight necklaces, eight pendants and eight bangles. We’re looking for mums with a baby under the age of one to put Softies by Ruby Olive jewellery to the ultimate test. Once you’ve tried out your pieces for a couple of weeks, we’ll ask you to report back with what you (and importantly, your child) thought. Then we’ll share your responses with the Babyology community – it’s a chance for real mums to tell it like it is. Simply fill in the form below and we’ll be in touch!